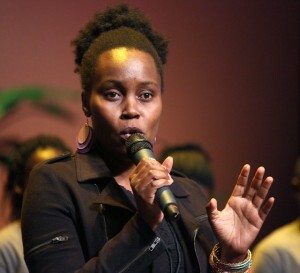 Our guest is activist Nancy Mwirotsi, founder and director of Pursuit of Innovation 515 (pi515), an innovative program that provides technology skills to young people in refugee and other underserved communities. The program teaches participants computer coding, and challenges students with potential to achieve goals successfully. Engaging young people in this way positively influences the stability of their families and communities. Nancy, an immigrant from Kenya, has dedicated herself creatively, personally, and professionally to helping refugee families have a positive and successful relocation experience in Iowa. She believes that to move forward, we have to have more than a “one size fits all” approach and that each child has a story, a dream, and can succeed to the highest level if given a chance. Nancy works directly with youth through the free after school class educating, mainly, refugee children in grades 7-12 in Des Moines, Iowa, on basic computer coding. She believes that because technology is diverse, it is one of the best ways to get young people into a better economic status through furtherance of their education beyond high school. Event Question: Nation states have argued for limitations on capacity, what is our capacity, as individuals, to care for others? Event Location: This event is in partnership with the Dialogue Institute of the Southwest, 9903 Pflumm Road, Lenexa, Kansas 66215. Our meal will be provided by the Dialogue Institute. Be kind and RSVP.